Today probably isn’t the best day to announce an exciting new music service, what with the whole world of technology absorbing Steve Jobs‘ resignation, but RIM has just lifted the lid on a new music sharing service for users of BlackBerry Messenger. It’s called BBM Music, and it allows those of you who use RIM’s BBM service to create a new profile with 50 of your favorite songs, which you can then share with all your BBM contacts. You’ll be able to listen all the music shared by your friends, so the more buddies you have, the more music you’ll have access to. When you’re bored of the songs you’ve chosen for your profile, you can swap up to 25 tracks for something new each month. 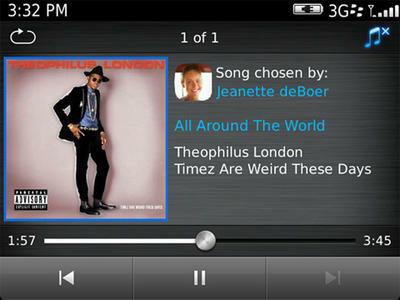 BBM Music will also allow you to comment on tracks posted by your friends, build up playlists, and shuffle tracks all the tracks that have been shared with you. The service will support offline listening, so even when you have no data connection, you aren’t left without any music; and you’ll have the opportunity to purchase tracks you enjoy from the Amazon MP3 store. RIM has deals in place with Sony Music, Warner Music, and EMI, and is apparently looking to expand the service down the line to create a cloud-based product that will rival Amazon’s Cloud Music Locker and Google’s Google Music. This is a massive boost to RIM’s BlackBerry Messenger service, which is facing increasing competition from third-party messaging services like WhatsApp, and Apple’s own service that will launch with iOS 5 later this year called iMessage. RIM did not provide a release date for BBM Music, but a closed beta starts today in the U.S., the U.K. and Canada, with expectations that we’ll see its launch later this year. 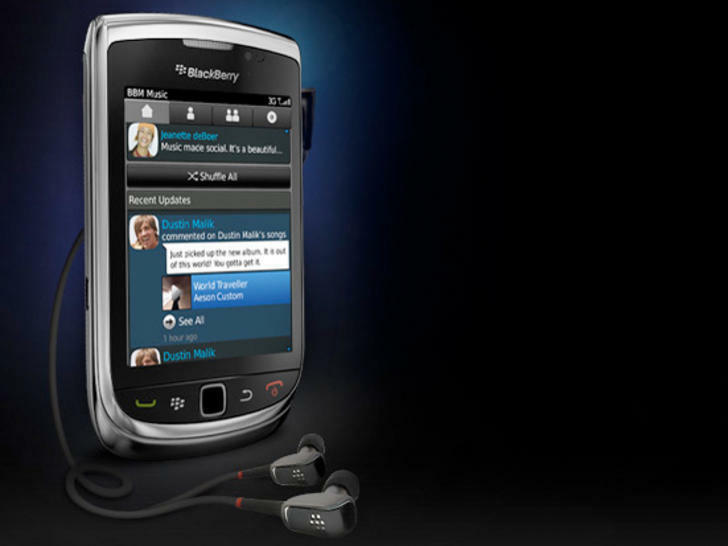 BBM Music will cost $5 per month and will require the latest version of BBM. 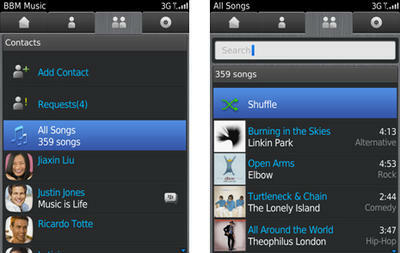 Will BBM Music be enough to save BlackBerry Messenger from its rivals?